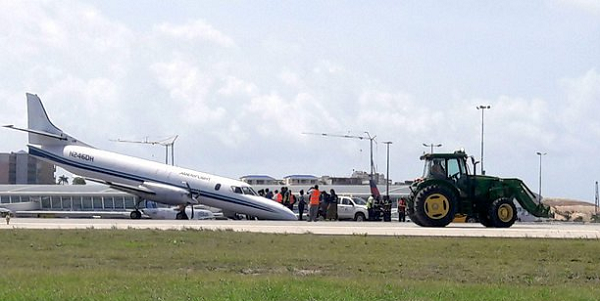 The aircraft was damaged when it made a landing on without its nosegear at Sint Maarten Airport, Neth. Antilles. There were no injuries. 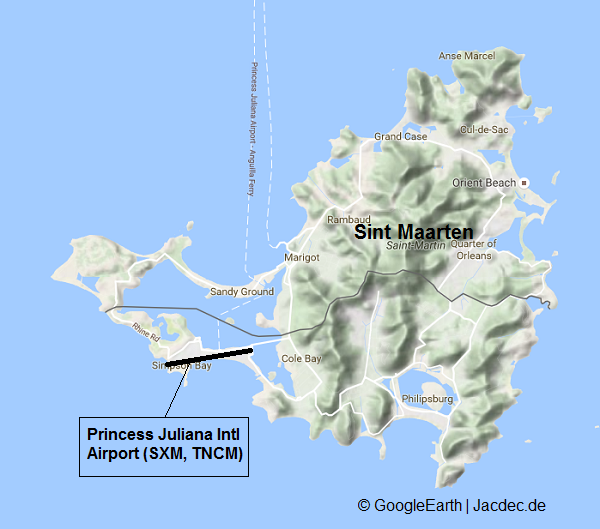 The cargo aircraft was on approach to Sint Maarten-Princess Juliana Intl Airport when the pilot was unable to extend the nose gear. He entered a holding pattern near the airport work the appropirate checklists but to no avail. He was finally with no other coice but to land without the nosegear. On landing runway 10 the pilots held the nose as long in the air as possible, until the speed decayed below the minimal speed and the nose skidded over the runway before coming to a safe stop. The pilot deplaned without injury. 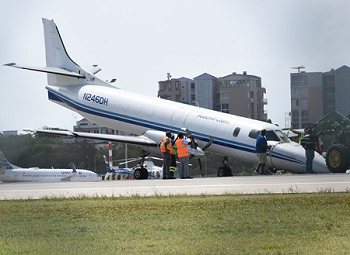 The only runway was closed until the disabled Metroliner was towed away at around 15:15L.